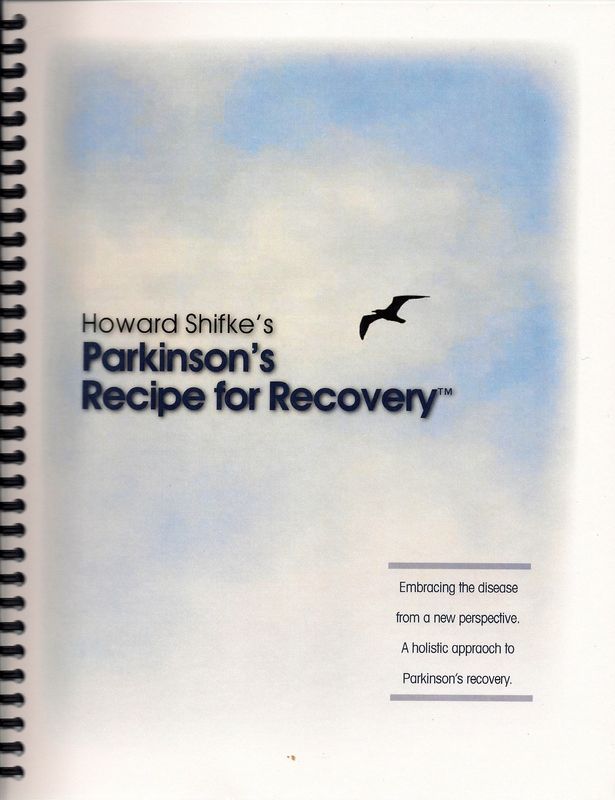 In December of 2012, I began taking the Parkinson’s Recipe for Recovery® on the road with workshops. 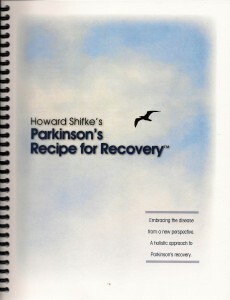 Everybody who attended a workshop was provided a Parkinson’s Recipe for Recovery® Manual© as part of the workshop. 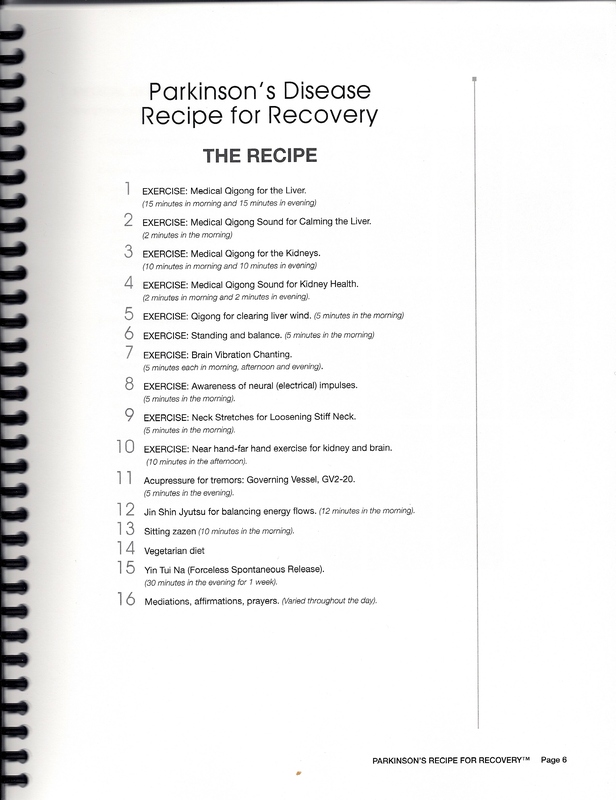 Many people who would be unable to attend a workshop asked me if they could purchase a Manual. 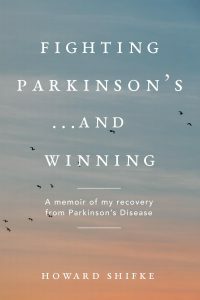 The Parkinson’s Recipe for Recovery® Manual© is an 8-1/2″ x 11″ spiral-bound 24-page manual of the Recipe and explanations in detail about how and why the Recipe worked for my soul, mind, and body recovery. It has a plastic cover for protection, the cover page and backing page are made of card stock thickness, and the individual pages are of a thick paper for longevity of the manual. 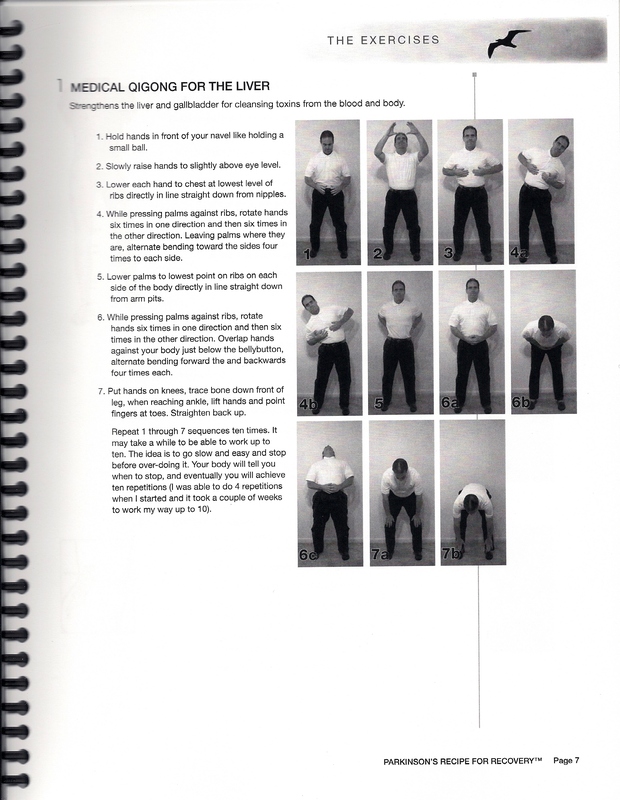 Additionally, it contains 40 photographs demonstrating the positions of the individual Qigong exercises, and it contains 6 diagrams of meridian locations and acupressure points used in the Recipe. When the manual is ordered, I will mail it in a bubble envelope for safe and secure delivery. The costs below are different for the US, Canada, and Overseas as there is a cost difference for mailing. The costs listed below are the total costs for the Manual, include mailing and delivery. Any location not in the US or Canada will select the Overseas choice. 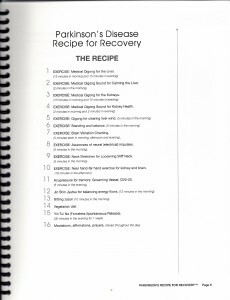 To purchase the Parkinson’s Recipe for Recovery® Manual©, please click the appropriate Buy Now link below. Also, if the address on your PayPal Account or on your Credit Card Account is different from the address where you want your Manual delivered, please let me know in the “Note to Seller” section on the order form.